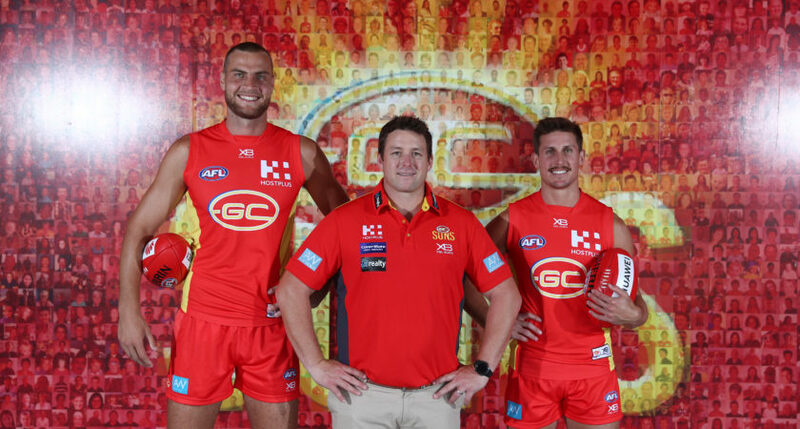 David Swallow and Jarrod Witts have been appointed co-captains of the Gold Coast SUNS. Both aged 26, Swallow and Witts have recently recommitted to the club and are determined to lead the club through its next phase. GC SUNS Chief Executive, Mark Evans said the club had undertaken a significant process to appoint two players that had bought-in and were willing to drive the club forwards. “Both David and Jarrod are extremely invested in our football club and are committed to helping us become a team that truly inspires the Gold Coast community,” Evans said. “Over the past 18 months we’ve undertaken a deliberate, but significant reset of our football programs, and it’s exciting to see a number of new additions to our leadership group. Swallow, who joined the club in 2010 ahead of the club’s inaugural season, said the occasion wasn’t lost on him. “It’s a very proud moment for me, I’m excited by the challenge that is in front of us as a football club and I can’t wait to play my role in driving our club forward,” said Swallow. In his third season with the club, Witts was quick to acknowledge the significant impact the club has had on him. “My leadership is something I’ve worked hard on over the last couple of years and I’m grateful for the opportunities the club has given me and I’m looking forward to playing a role in shaping our future,” said Witts. “Throughout the past 18 months we’ve really focussed on ensuring that as a group we all take responsibility for leading our club forwards, it’s not the job of any one individual. Witts and Swallow will form a new look eight-man leadership group that includes Touk Miller and Pearce Hanley as Vice Captains and Alex Sexton, Jarrod Harbrow, Brayden Fiorini and George Horlin-Smith. Hanley, Miller and Harbrow have all been members of the GC SUNS leadership groups previously, while Sexton and Fiorini have been elevated to the group for the first time, as has new recruit and former Cat, Horlin-Smith.